After spending time planning our own wedding, we realized that there was a gap in the market for an online wedding store that catered to a wide range of bridal couples. As a husband and wife team, we used our strengths and knowledge to create something that would assist future wedding planning couples – welcome to our wonderland. 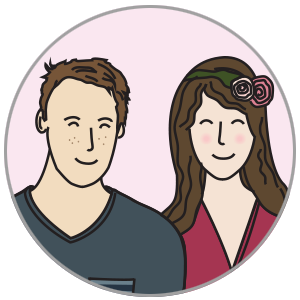 With John’s creative design skills and Jess’ business know-how, Polkadot Box was created. An online marketplace displaying beautiful and unique wedding products and gifts, we strive to supply customers with the best customer service and product range available. We love doing custom work, so if you are looking for something specific, please contact us to discuss options. We are purely an online store, but we love chatting and assisting our clients via email or WhatsApp, so please feel free to get in touch should you have any queries or need any advice.